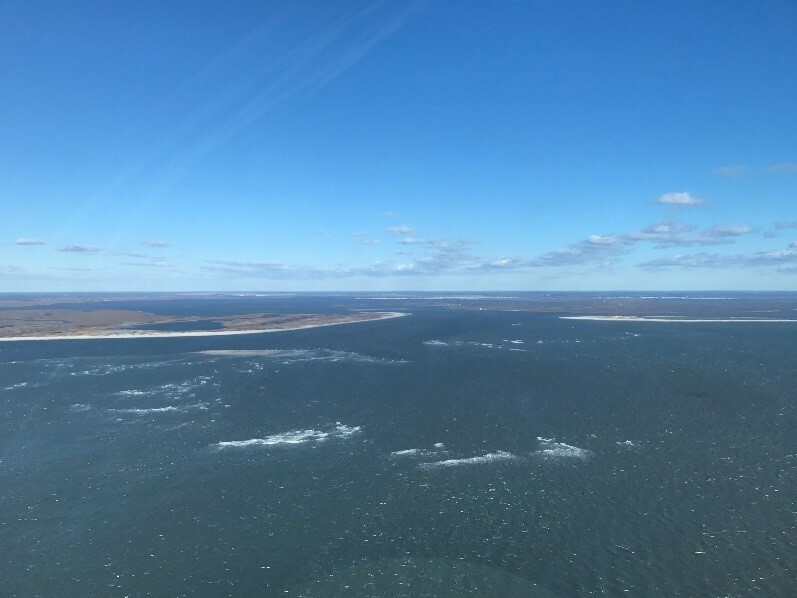 (18/P024) TRENTON – A contractor for the Department of Environmental Protection has completed an $18.4 million project to rebuild storm-damaged beaches and dunes in southern Long Beach Island while creating a safe navigation channel for nearby Little Egg Inlet. As a result, the DEP will place a request with the U.S. Coast Guard to mark the boating channel for the inlet, a major thoroughfare for boat traffic between southern Long Beach Island and Brigantine that had never been previously dredged. In all, the contractor removed some 700,000 cubic yards of sand from the inlet to create a channel that is 24 feet below mean high-tide. The sand was used to repair beaches and dunes in Holgate and Long Beach Township. The DEP paid for the project using its Shore Protection Fund. The sand was placed along beaches and on dunes from Ocean Street in Beach Haven and south through Long Beach Township, repairing areas that sustained erosion as the result of storms that occurred since the U.S. Army Corps of Engineers completed a $128 million beach and dune construction project that encompassed much of Long Beach Island. Little Egg Inlet is one of the widest inlets in New Jersey and is heavily used by commercial and recreational fishing vessels, private boats and other craft that use the inlet to access Barnegat Bay, Great Bay and the Intracoastal Waterway. Little Egg Inlet is extremely dynamic, with shoals constantly shifting with the seasons. The Coast Guard each year would use buoys to mark the deepest and safest natural route through the inlet. Due to storms and currents, the channel in many places had become less than six feet below mean sea level, making navigation very difficult, especially when factoring in the rolling of waves in the ocean. In March 2017, the Coast Guard pulled buoys marking the channel due to concerns that buildup of sand in the channel had become too severe for safe passage of boats. The Coast Guard warned boaters that use of the inlet would be at their own risk. The DEP designed the project to have negligible-to-no impact on the nearby Holgate section of the Forsythe National Wildlife Refuge or migrations of fish. The DEP worked closely with the Fish and Wildlife Service, the National Marine Fisheries Service, the Army Corps of Engineers, and the DEP’s Division of Land Use Regulation and Division of Fish and Wildlife to ensure protection of natural resources.